Heat comes off the sidewalk, leaving a thin, glimmering sheen of sweat under your T-shirt. Deep, hearty laughter travels down the street from lively stoops and rowhome porches. Most people… feel as if they’ve discovered all there is to know about Baltimore. But I’ve got news for those people: They haven’t even scratched the surface. Murals splashed with shades of blues, reds, and greens on to the side of brick buildings and on the cement next to sewer grates pique your curiosity. As a student at Loyola, I have been living in Maryland’s largest city for long enough to have tasted the sweet char of meat straight off the barbecue. The melty-chocolatey goodness of Berger Cookies smeared all over my mouth has left me looking silly. Old Bay has become as important as salt on my French fries. And I have attempted to learn how to properly pop open a fresh, crisp crab in the most pristine fashion. These are rites of passage for all who encounter this city: college students, tourists, lifelong residents, and eager new faces. Most people who stay long enough to complete these tasks feel as if they’ve discovered all there is to know about Baltimore. But I’ve got news for those people: They haven’t even scratched the surface. Having the chance to live in Baltimore in the summer, away from a full courseload, a job, involvement in clubs and extra-curricular activities, has provided me with a unique perspective of the city. What I have found is that the more time I spend wandering up and down the city streets, the more I realize how inspiring it is. Because Loyola’s campus is quieter during the summer months, and because I have more free time, I have been able to spend more time exploring Baltimore's neighborhoods and other attractions. And what I have found is that the more time I spend wandering up and down the city streets, the more inspiring I find it. Baltimore has that magical quality every day. Baltimore has this effect that emblazons the quintessential sentiments we have of moving away from home and the becoming of our true selves. That’s because Baltimore is not like every other city. It is not in a rush. It does not wish to steal your time or your effort. There is nothing lurking in the shadows, waiting to swallow you whole when you feel submerged, head over heels. It wants you to be YOU. In the city where there is something for everyone, there is something to do and discover every weekend. A smaller city, most areas and events are easily accessible by car, via public transportation, and on foot, allowing everyone the opportunity to experience what the city has to offer. 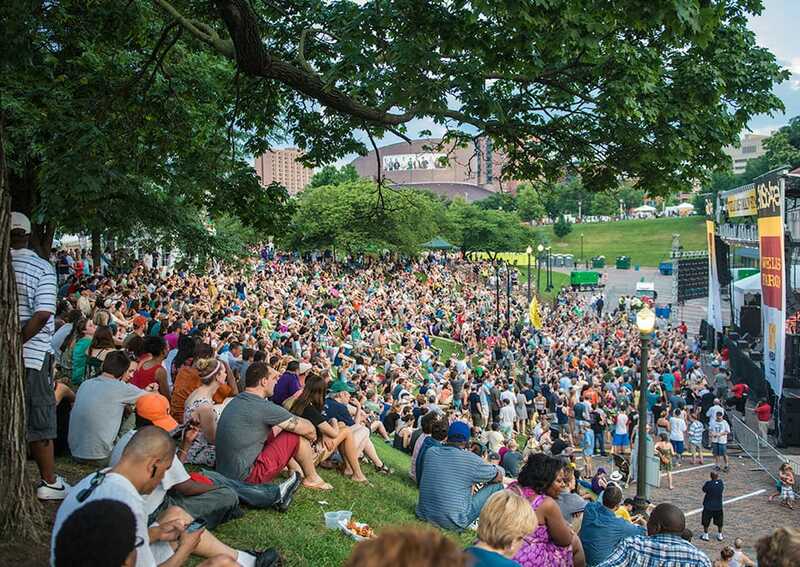 Baltimore is home to Artscape, the country’s largest free arts and music festival which attracts 350,000 people to the city every July. Artscape features talented local and national artists and their work. Multiple stages allow musicians and live performers to dazzle sweaty audiences from morning until late into the night for three days. Parking garages are emptied and converted to stages for live performances and miniature galleries, while live music and art installations happen in the middle of the street. City buses shut down and become air-conditioned cooling stations. People build misting stations to make sure everyone stays cool. Small businesses with booths hand out free water and ice chips. The Gathering, a famous food truck festival occurring several times a year, showcases the creative culinary minds of the city. 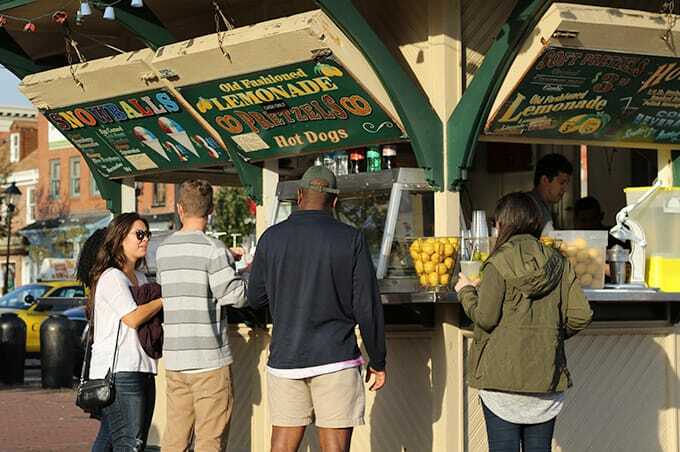 Foodies go nuts for the fried milk curds and cupcake trucks, and vendors compete to see who can sell out the fastest or queue up the longest lines. Baltimore is also home to over 15 different restaurants that have been featured on the Food Network's Diners, Drive-ins, and Dives, ranging from famous pit beef to gourmet breakfasts. 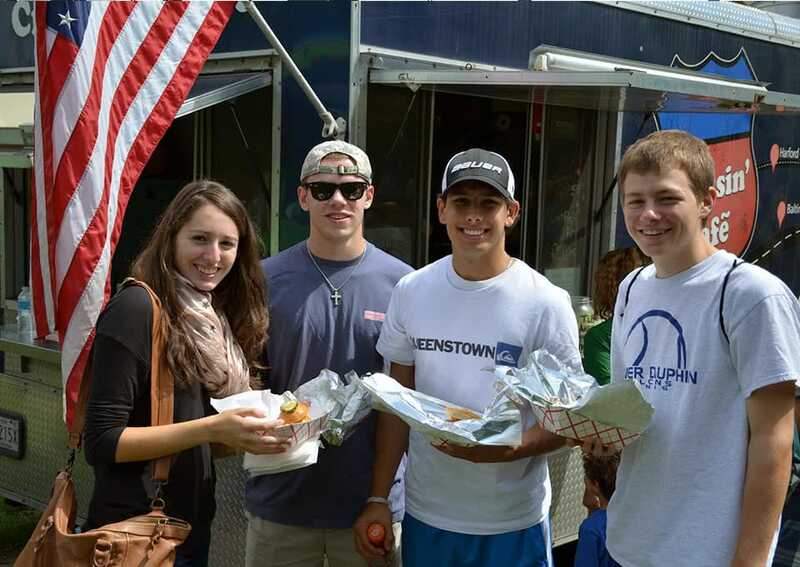 Greek, Jewish, and Polish food festivals dress the air in enticing aromas. Power Plant Live!, Baltimore Soundstage, Rams Head Live, The 8x10, and a number of other venues feature big names and new, local acts daily—with ticket prices so reasonable, you feel like you’re stealing. 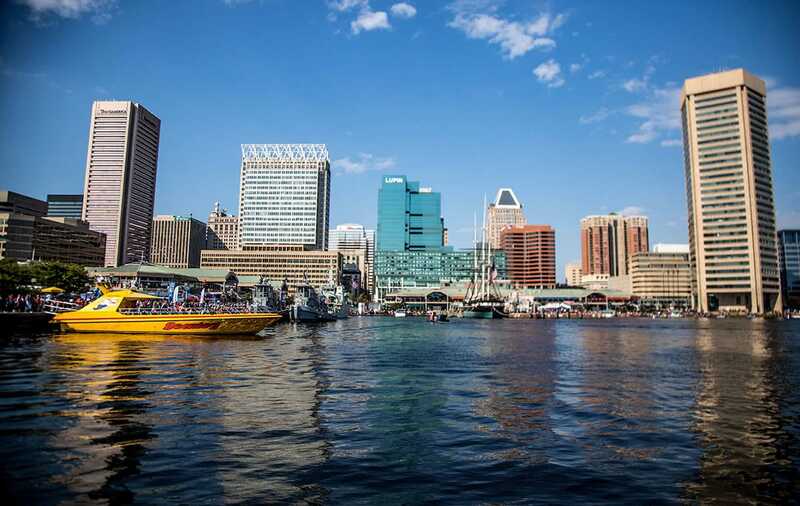 Baltimore also hosts several festivals every summer, including Hon Fest, the Baltimore Book Festival, the Little Italy Film Festival, and the Baltimore Improve Festival. 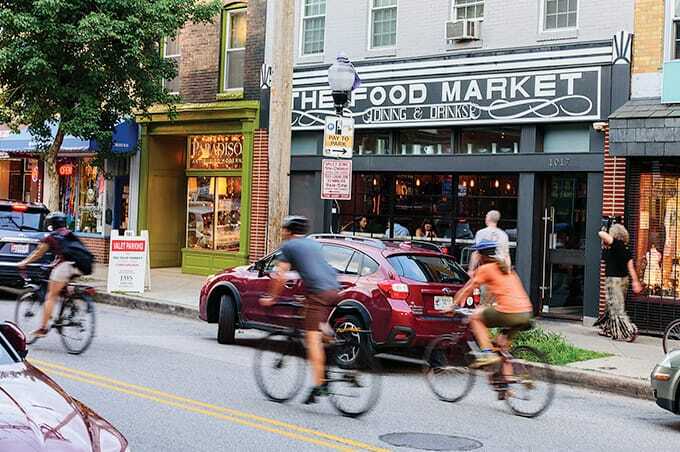 Community movie nights in Federal Hill, Little Italy, and Fell’s Point not only bring visual creators together, but provide fun entertainment for families. Attending events like these has opened me up to the idea that Baltimore wants you to come as you are. Pockets of communities with different ideas and talents all seem to share the same goal: They want people to witness what they do and find a way to get involved. I’ve also noticed that when all these communities—the foodies, the hipsters, the dancers and performers, the artists, the activists and people rallying for change—come together, there is an overwhelming feeling of positivity and purpose. The people of Baltimore inspire me every day, and I know they inspire each other. There is a yearning in the air—to do better, to be better. Baltimore has such a strong sense of community that, unfortunately, others either don’t notice or don't want to see. Many people rely on what they hear and see on the news to paint them a picture of this city, but they will never understand the heart and soul of its people if they don’t come and experience it themselves. Like so many other cities around the country, Baltimore is a community that is going through a transition. That does not mean it can’t and won’t take steps in a positive direction. The people of Baltimore inspire me every day, and I know they inspire each other. There is a yearning in the air—to do better, to be better. I’m thankful I’ve been able to take the time to witness it when I am not wrapped up in my own life. Baltimore is so much more than it receives, and it gives so much more than it takes. 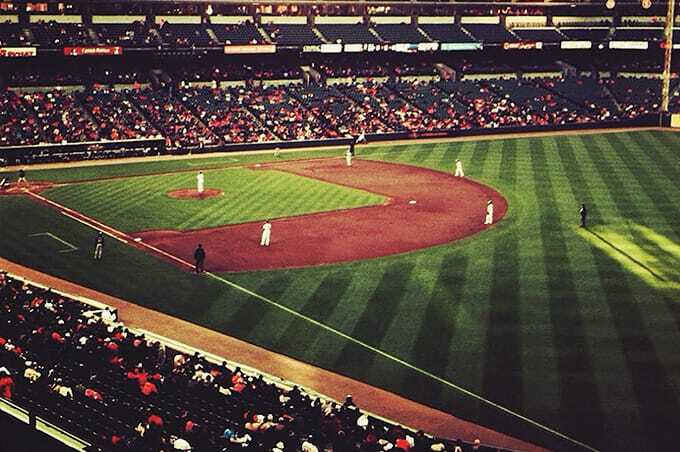 Spend a summer in Baltimore. Brave the heat. Eat the crabs. Paddle in the harbor. You’ll walk away with something more.